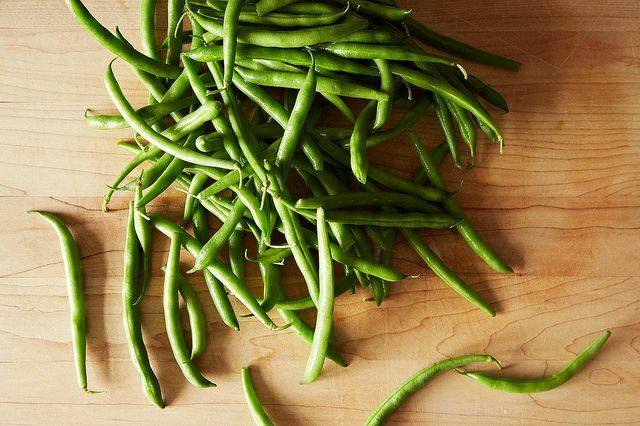 Today: How to coax the most flavor out of sweet summer beans. 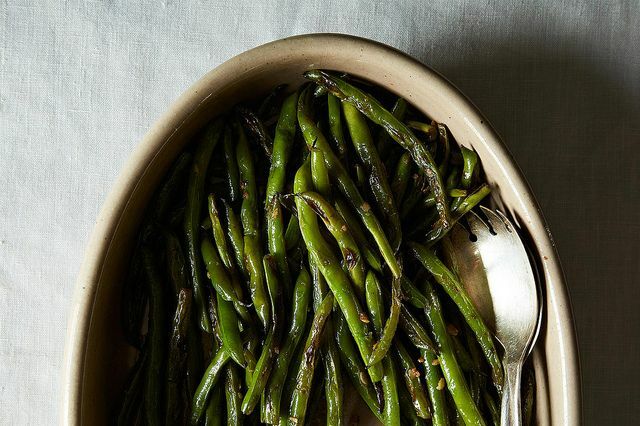 You're probably thinking: those look like sautéed green beans -- I don't need a Genius Recipe for that! But their secret is tucked away inside, in parsing the fine details. You just have to do the opposite of what you've been doing. 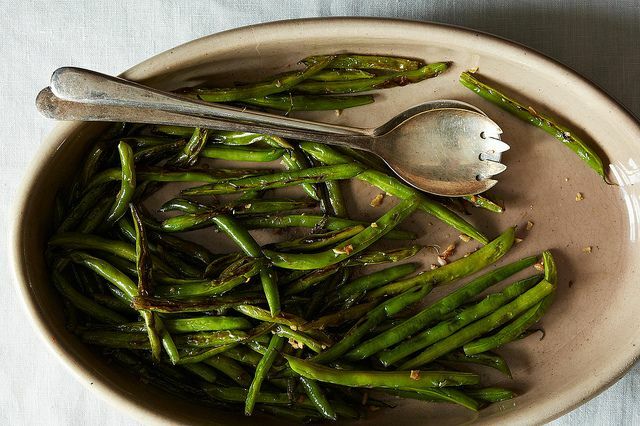 See, green beans have a whole lot more potential than we realize. Their natural state can be severe, squeaky -- our goal is to break through that, but we're going about it all wrong. We tend to blanch them first thing, washing away some of their character -- even if we're going to sauté them. (I'm not sure why we do that, other than impatience, or an abstract desire for brighter color.) Or we throw them into salads as a vehicle for dressing, a willing but silent sidekick to Niçoise's tuna and olives. 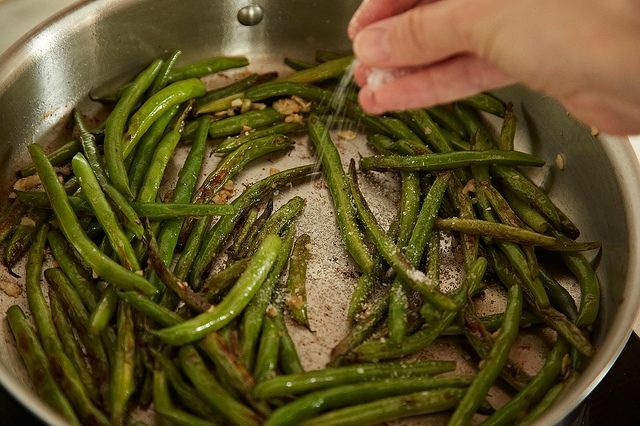 Even if we skipped blanching, we'd probably absently sauté some shallot or garlic, then add the beans -- so they end up tasting like sautéed shallot or garlic. None of this leads to bad green beans. But they could be even better. This technique, which comes from cookbook author Penelope Casas by way of Food52er creamtea -- looks embarrassingly simple, and it is. 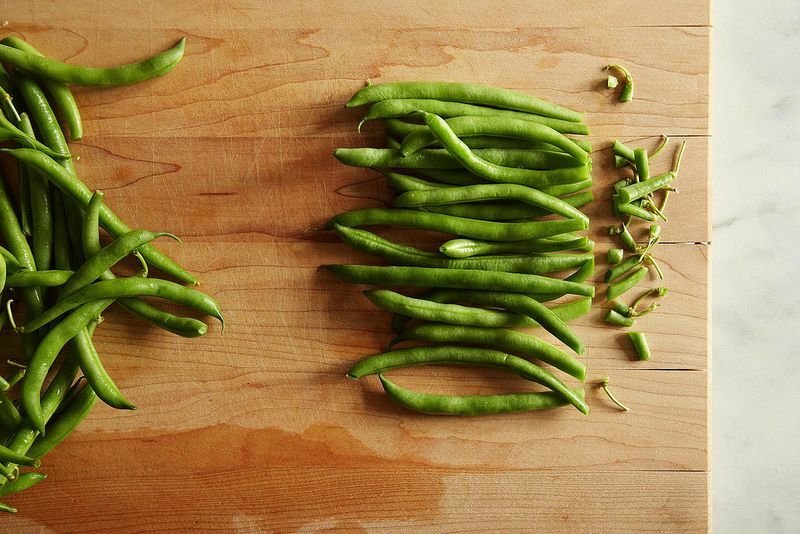 But it shakes up our habits, and with 4 ingredients, lets green beans become their best selves. More: Another 4-ingredient wonder -- Zucchini Butter. When they start to get some brown splotches, cover the pan and turn down the heat. Resist the temptation to add liquid. They'll stew in their own juices, and their flavor will be completely undiluted. Made these for a dinner party and can't think of a better recipe. The beans were sweet, really sweet and had a marvelous crunch. Turning down the heat is good but on my electric stove it stays hot way too long. I'l have to move it to another burner that recognizes "low." Thanks for the tip for not boring green beans! These really are a touch of genius--simple and very, very good. Thanks so much for the idea! I made these tonight & they were fantastic! Thanks for the awesome recipe. do you turn the heat down when you put the cover on? it seems like 15 minutes of impossibly high heat will give you burnt beans. You do lower the flame and cover. The link gives you the full recipe. The Chinese have been eating these for over thousands of years. We use vegetable oil instead of butter. 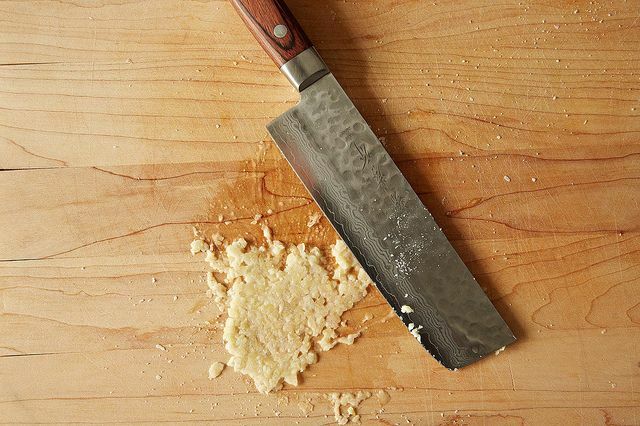 This can also be done using olive oil instead of butter. I usually add sliced almonds in the last minute and it does taste quite nice when it gets a little charred. You don't have to convince me of the need for this simple but particular set of instructions for green beans...I have only known the squeaky-tastes-like-garlic way...I am eager to get my hands on some green beans to try this immediately! Keep these kinds of "basics" recipes coming! Thanks for sharing....I need a few new ways to prep green beans other than warming up frozen beans! these two sentences are so beautifully written - what a delight to read this post! 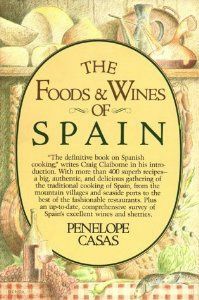 "You could leave the garlic out, but its pushy sting will soften a little on the warmth of the beans. It frames our focus. Which, of course, is those green beans, sweet and singed and alive, with none of their goodness overwritten or left behind." Sounds good...and love the serving utensils, too! Thank you, Kristen. I am not being critical; I only want to know which direction to follow. Thanks for the clarification. Of course! Apologies for the confusion. Thanks, creamtea, but your comment does not answer my question. I can read the recipe, but the author's notes call for an irresponsibly high flame, not a medium one. One or the other, the author's notes or the recipe's instructions, should be corrected. Janet, please see my comment below. I'll update the recipe to reflect that you can start them over medium to medium-high heat. The author's notes say to sear the beans over an "irresponsibly high flame", but the full recipe calls for a medium one. Which is it? medium flame, stirring until begin to brown, then cover & reduce flame. 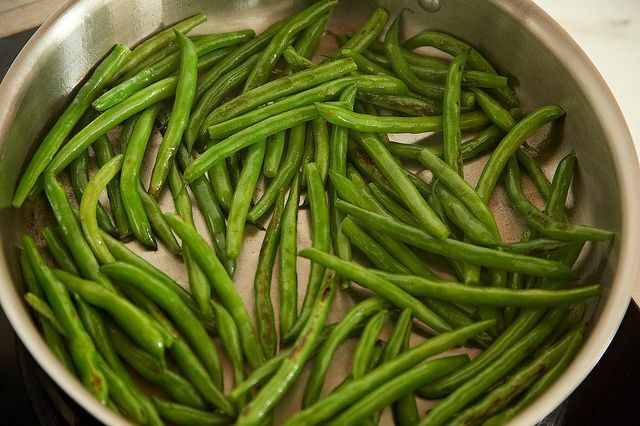 Yes, I consider it irresponsibly high for green beans cooked with butter and no liquid -- I'd been taught to either blanch first, or cook them low and slow. I've also started them over medium high or higher though, when I'm feeling very irresponsible. 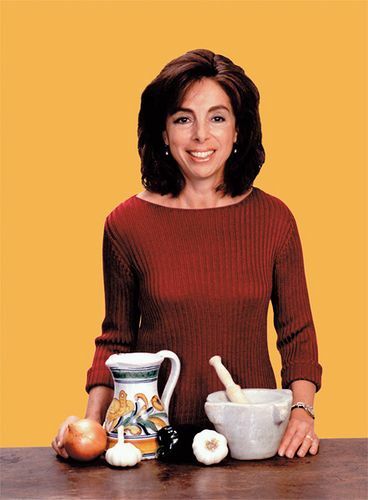 I have always known my Mom was an amazing cook...then I read simple and delicious recipes like this,as she taught me...and I realize, yet again, how fortunate I truly was to learn what was so instinctive for her. Great technique.... try this with Chinese Longbeans from the Farmers Market!! Where are the upvotes for this? I've been dying for something new to try. Agreed, it's only ever olive oil and garlic. I want to taste the greenbeans for their deliciousness. Good think I only cooked half of my fresh green beans last night. I know what's going on with the other half! i am DEF doing this. i've been lamenting my green bean technique for much too long! they always taste like olive oil and garlic, and, as you say, that's not necessarily BAD, but i've often thought, 'why don't i just skip the beans then?'. anyway, thanks! This is my favorite way to eat green beans! I can eat a pound of them all by myself...'cause I'm greedy. lol!